Let’s color the world! Oh. The world colors are actually pretty. Let’s mimic the world! 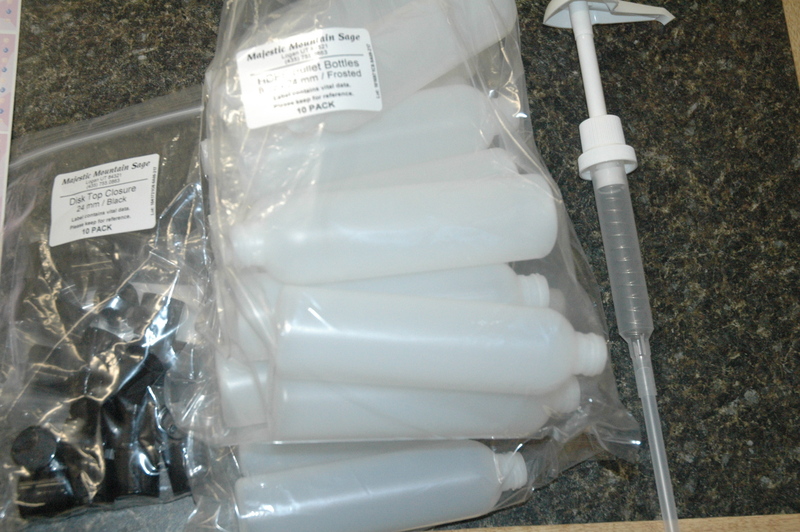 This blog entry will use a Bubble Bath Gift Kit and the dyes we mixed yesterday. 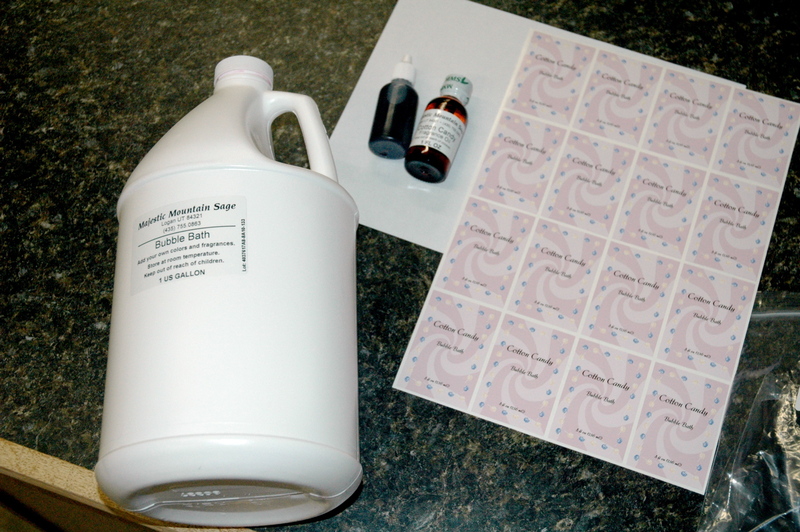 Today I’ll demonstrate the Purple Raspberry dye in Bubble Bath scented with Cotton Candy Fragrance Oil. #1 Collect the items you will need. #2 Pour the fragrance oil into the Bubble Bath Base. 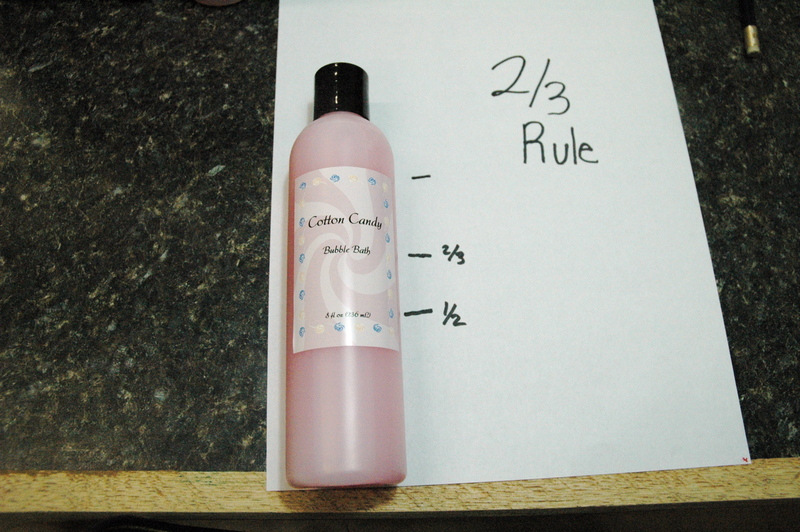 Cotton Candy is one of the fragrances that can be used at 1 fl oz for a full gallon of Bubble Bath, so don’t worry about using the whole bottle! I added 4 drops of color. You can always add more color. It is very difficult to take the color away once it has been added though! #4 Shake well. This will take several minutes. If your arms become tired from the shaking, recruit a family member, the next door neighbor kid, or others that come to see what you are doing. You may have to bake cookies for payment! #5 Test. 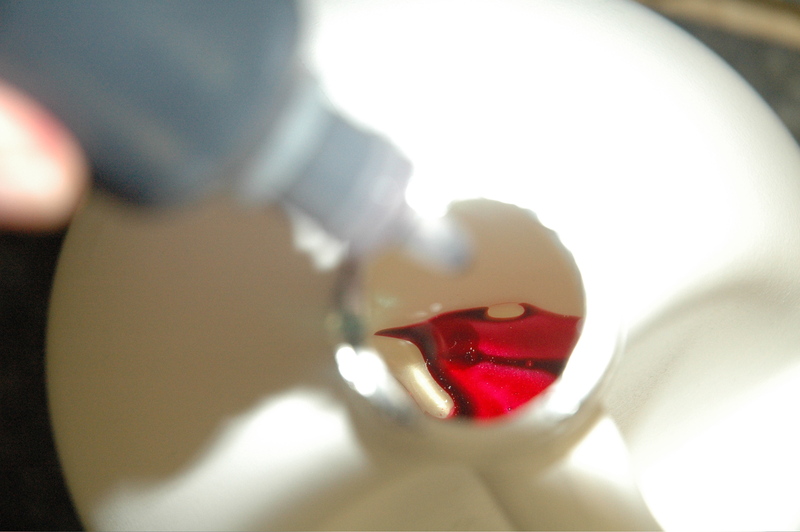 If you stir the pump around in the jug and then pull the pump out, you can check to see if the color and fragrance have blended or not. Whoops! 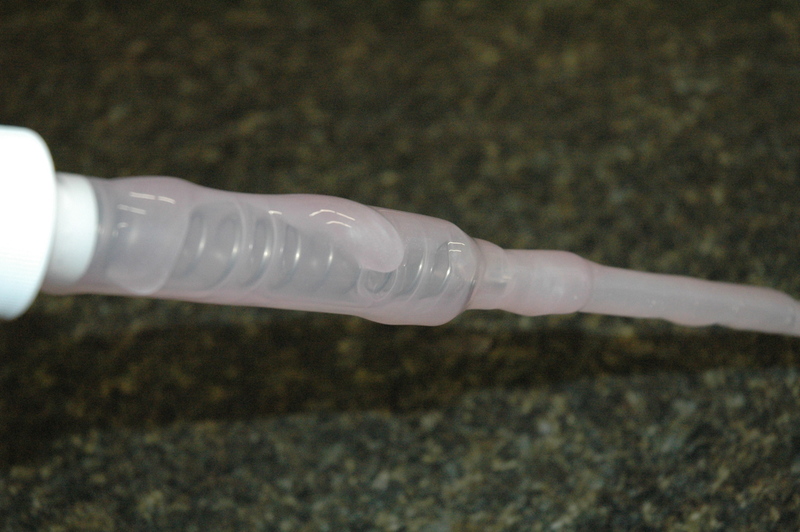 This time I didn’t shake the Bubble Bath enough, so I need to shake some more! Maybe I’ll go find the neighbor boy and bribe him with cookies. #6 Look at that! The Bubble Bath is now all mixed. The small amount on the pump is hard to see compared to the Bubble Bath that wasn’t completely mixed. 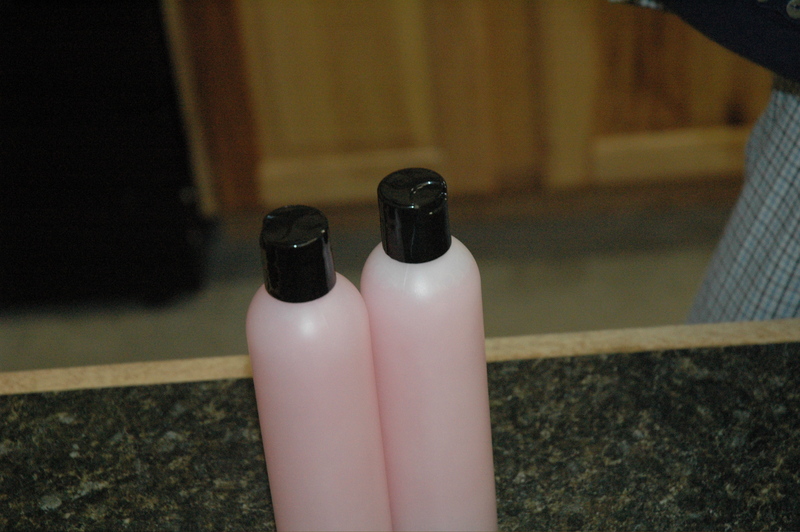 The color and fragrance are now thoroughly mixed into the bubble bath, we can pump into the bottles. Yippee! We’re almost done! #7 Cap the bottles. Sometimes I’m lucky and I can bribe someone to cap the bottles for me as I fill them. #8 Once the bottles have been capped, you can label them. We follow a labeling rule that is easy to understand and catches the eye. The two-thirds rule is really simple. 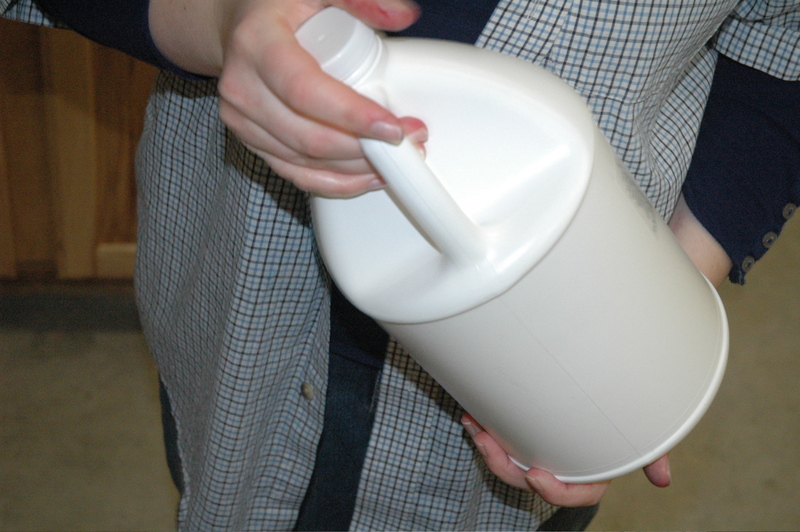 First, take a sheet of paper and set the bottom of the container even with the edge of the paper. 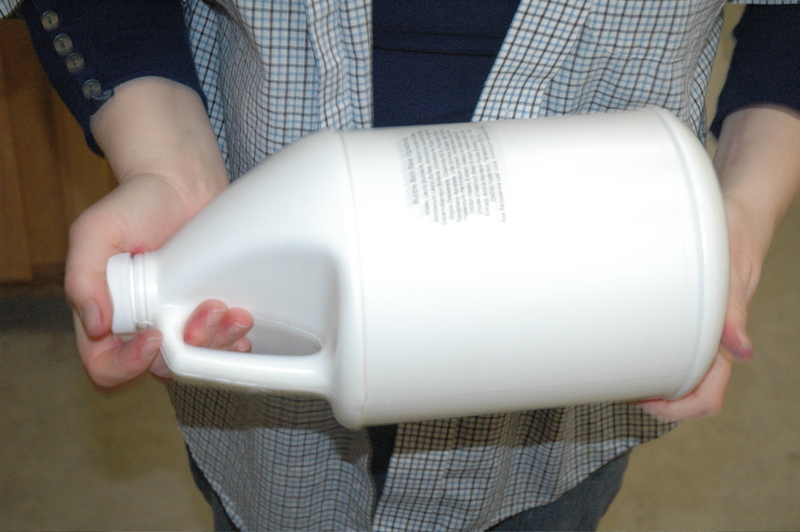 At the shoulders of the container (bottle in our case), draw a line. Find the 2/3 point between the line that you just drew and the edge of the paper. Next, we are going to mark the 1/2 point. Once these points have been marked, you now have an outline for keeping your labels at an even height on all your bottles. 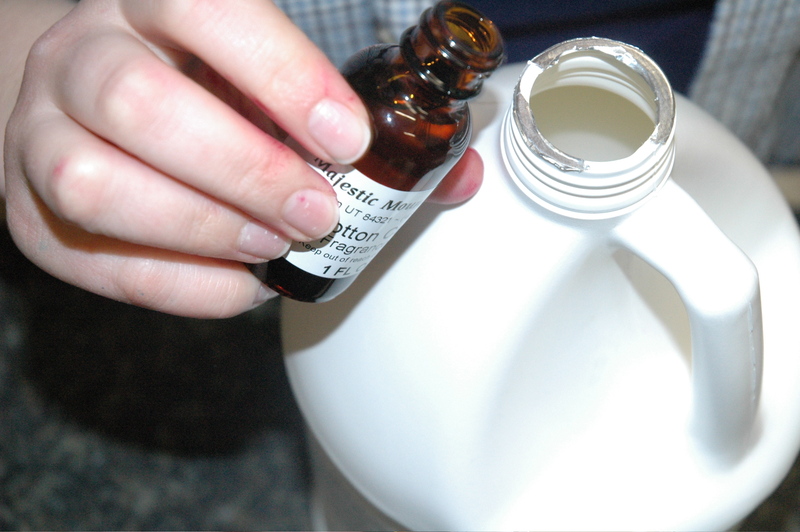 To place the label, you will want to cover the 2/3 point of the bottle. Wonder if I’m right? 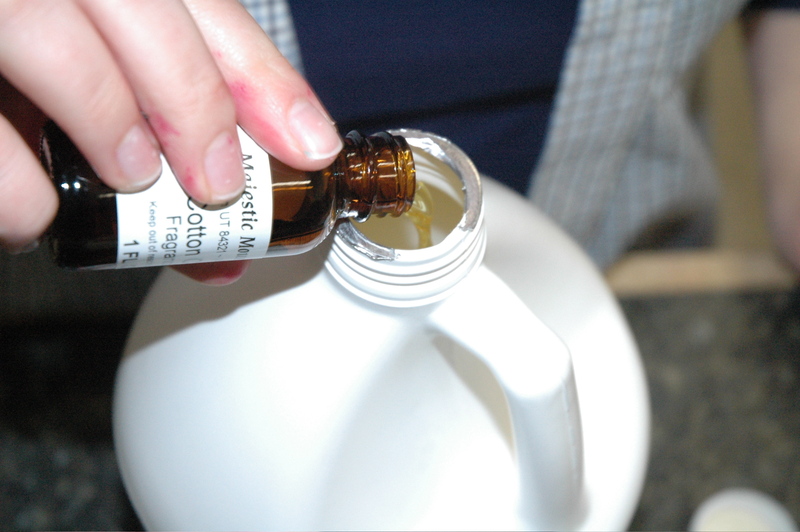 Raid your kitchen, laundry room and cosmetics to check other labels – 2/3 is the point where your eyes focus first. Most companies have the product name in the area of 2/3. Wow! #8 Tada! 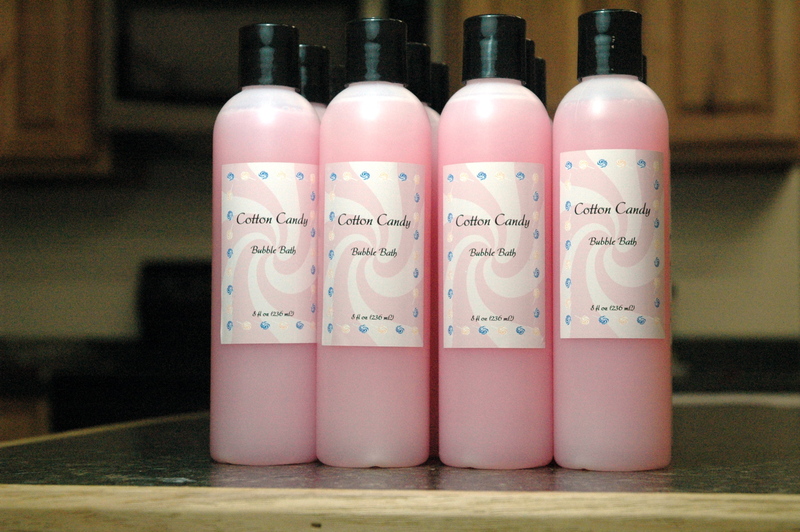 These bottles of Cotton Candy Bubble Bath are now finished. Don’t they look fantastic? I’m looking for both lotions finery and pain relievers would you have any info for me? Thank you, appreciate it!! Can you help us understand what you are looking for? Thanks! There are no links to the Bubble Bath Gift Kit or the Cotton Candy fragrance oil. These links have been added. Thank you for helping us!